Kuldhara was the home of a prosperous community of Paliwal Brahmans since the 13th century. Located about 18 km from present day Jaisalmer, this township was built around a temple of a devi or mother goddess. About 200 years ago, the inhabitants abandoned Kuldhara almost overnight. The legend goes that Salim Singh, the minister from Jaisalmer, fancied a girl from Kuldhara. Reluctant to accept this proposal and unable to refuse, the townspeople left in the dead of the night, cursing the ruler and anyone who tried to live in their town again. One look at the collapsed roofs, narrow abandoned lanes and crumbling memorial stones is enough to convince us! Experience the sheer thrill of riding a quad bike in the Thar Desert. Take the thrilling experience of driving the quad bike in the sand dunes of Jaisalmer with Jaisalmer Taxi Services. We have recently started Quad Biking in Jaisalmer with a vision to provide services that exceed customer expectations. This four tyre motorbike is another way to enjoy dunes and desert land on your own. The ride along with the horizons of desert dunes and rocky land makes you feel like a super hero on rescue mission. 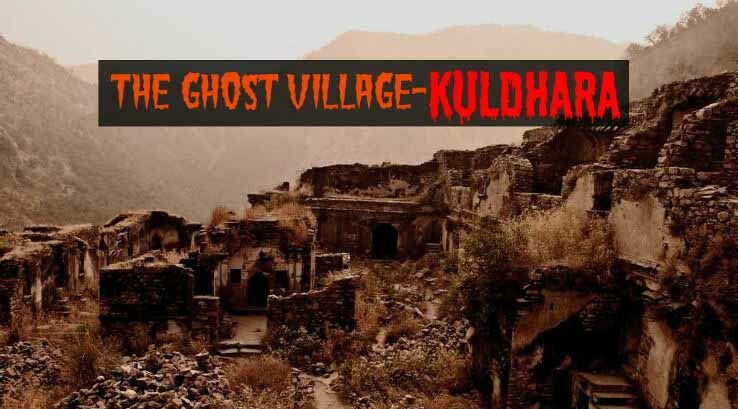 Abandoned and cursed for over two hundred years, this Rajasthani village has a tale to tell. Why is a once prosperous village now nothing but an abandoned old site? Notice the scant presence of human existence, the vegetation is minimal and straying goats have feasted on the last bits. The afternoon sun is fierce and Kuldhara stands desolate …an uncanny silence prevails all around. About 200 years ago, Kuldhara was home to the Paliwal Brahmins. It was during this time that Salim Singh, the Diwan of Jaisalmer, known for his debauchery and unscrupulous tax-collecting methods, set his eyes on the beautiful daughter of the village chief. The Diwan was intent on having the girl and he told the villagers if they came in his way he would levy huge taxes on them. Fearing the wrath of the Diwan, one dark night all the villagers fled the village leaving behind their homes and everything within them. Kuldhara was abandoned by its very own people. No one saw the thousand-odd members of the village leave. For generations now, no one knows where the Paliwals have resettled. All that is known is they cursed the town when they left …. that no one would ever be able to settle down in Kuldhara again.